Andrew Moore, one of America’s greatest working photographers, finds new ways to see Alabama's Black Belt. 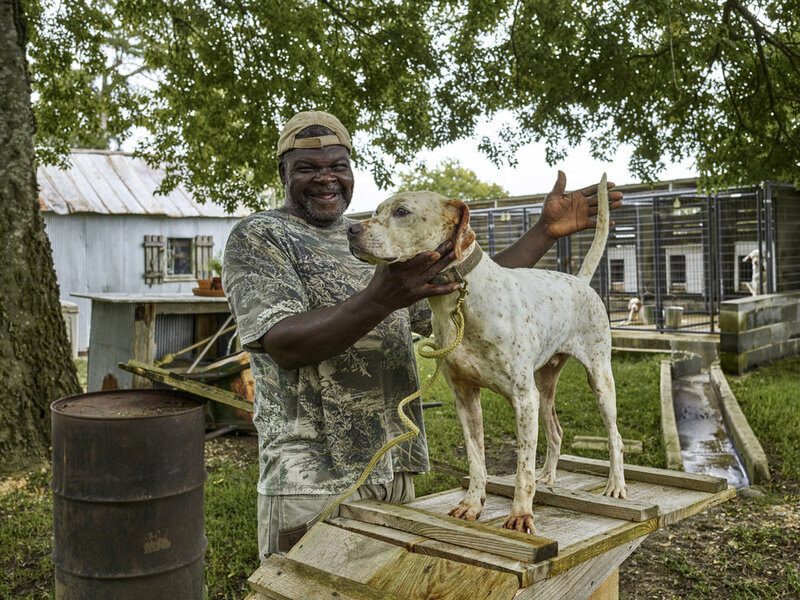 Andrew Moore is one of America’s most prominent working photographers, focusing his lens on wrenching change in various regions of the country. For the last three years, he has been working in lower Alabama. The Bitter Southerner is proud to present a collection of Moore’s photographs from one of the most culturally significant corners of our region. Darrell at the Perry Farm, Midway, Alabama, 2017. 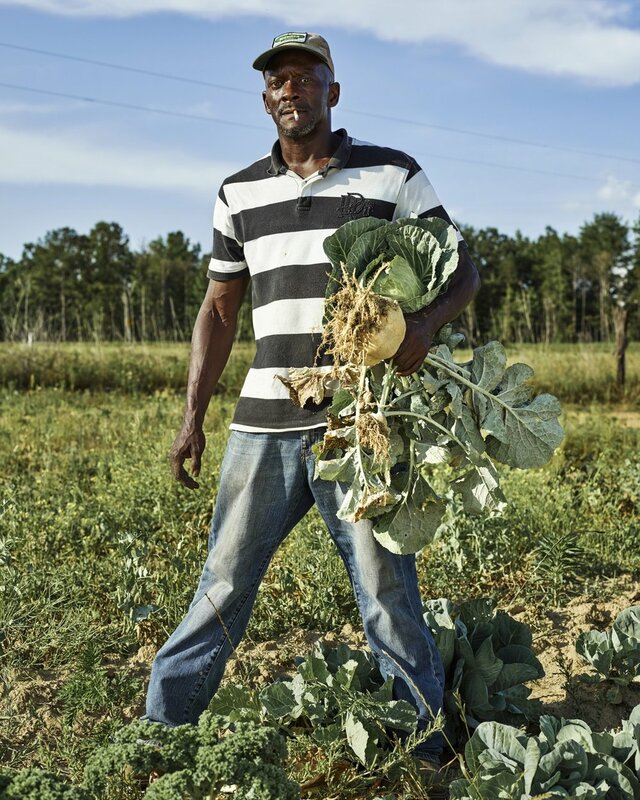 The Perry farm is known for its high quality vegetables that are regularly sold at the farmers market in Union Springs. Grounds of the Snow Hill Institute in Snow Hill, Alabama, 2017. In 1893, armed with a doctorate from Booker T. Washington’s Tuskegee Institute, William J. Edwards founded a log-cabin school in one of Alabama’s poorest areas. By 1918, the school, known as the Snow Hill Institute, owned 24 buildings on more than 1,900 acres and had between 300 and 400 students pursuing both academic subjects and vocational training. The school closed in 1973 after the desegregation of Wilcox County. Seven years later, in 1980, Consuela Lee, the aunt of filmmaker Spike Lee and the granddaughter of Dr. Edwards, reopened it as Springtree/Snow Hill Institute for the Performing Arts. It ran daily after-school music programs and summer programs until it closed again in 2003. Donald Stone, another grandchild of Snow Hill's founder, has written a thorough account of the Institute's founding and early years: “Fallen Prince: William James Edwards, Black Education, and the Quest for Afro-American Nationality". 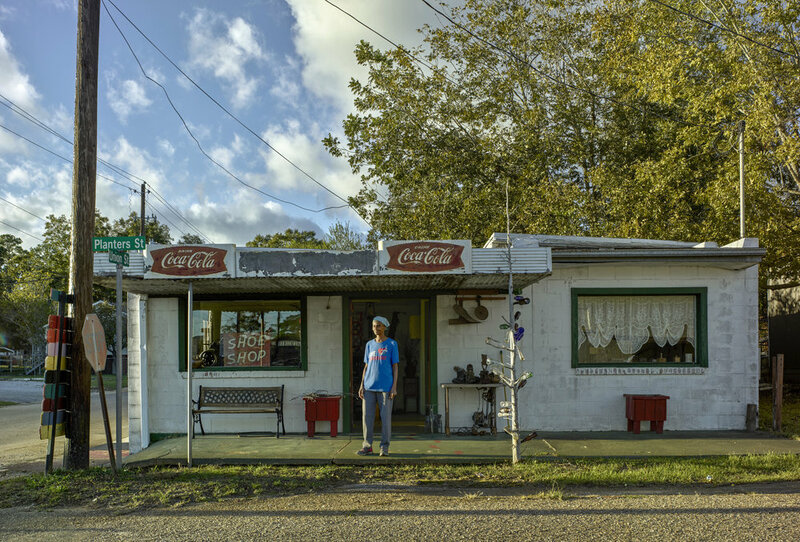 “Betty and Her Shoe Museum,” Camden, Alabama, 2017. This building formerly housed Betty's father’s shoe-repair shop and still has much of his old equipment and tools on display. Mary Ann Curtis and Mary Vailey near McWilliams, Alabama, 2017. Hank Williams Sr. briefly lived in this town, and his father is buried there. Since then, I have met her many times since, as well as brought my own family to meet her. 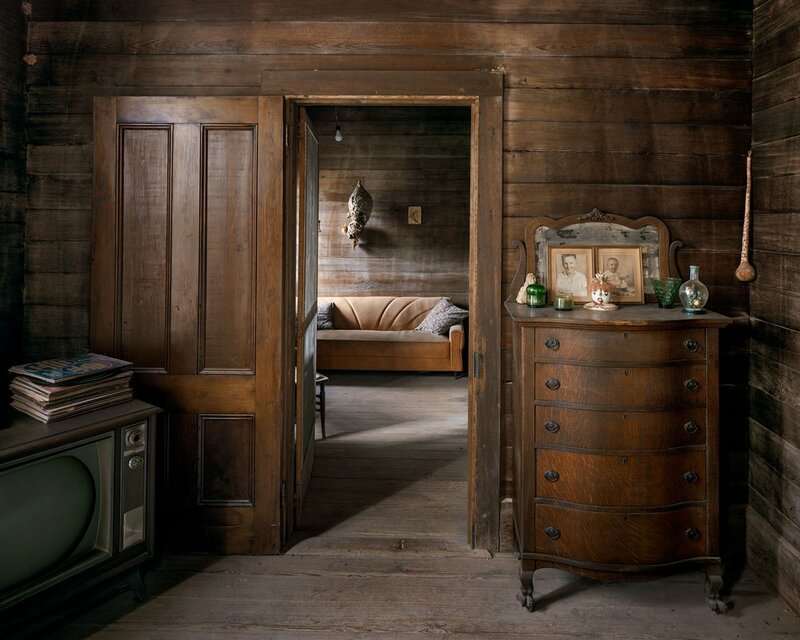 Inside her home, as my instincts had led me to hope, there were two front rooms which were virtually unchanged since their construction nearly two centuries ago. She later told me that she had never understood why, in all the 50 years she had lived in the house with her husband, that they had never renovated those rooms. But now she understood the wait, because the Lord had sent me to make pictures of her home. I don’t know anything about being God’s photographer, but working in lower Alabama for the past three years, there were moments where I sensed something beyond the serendipity of a chance encounter. As I was passing through Union Springs one afternoon, I happened upon a practice session of a kids’ marching band, which turned out to be the brainchild of Stan “Chilly” Cooks, a successful session musician who, after recovering from a long illness, made good on his promise to God and returned to his birthplace to give music lessons to the children of the city. A radiant goodness emanates from Chilly. It can can barely be described, let alone photographed, but everything he has accomplished in a place he describes as a “pile of clay” strikes me as the sweetest possible alignment of imagination and faith. Whether by chance or instinct, I’ve always been drawn to places that seem to be on the verge of change, especially when the fibers of culture, politics and history ripen into a form unique to that particular place. Even as Alabama was being portrayed as the spearpoint of white populism during the last presidential election, I felt this was a land of too much complexity, and with too many contradictions, to be written off as a solid red state. Surely some of that feeling came from the hundreds of people I met, in that traditional way of knocking on a door, a casual conversation at the hardware store, or through the introduction of a distant relative, that often enough led to a conversation, a meal, and even a friendship. What kept drawing me back to this land and its people was an encounter with, and recognition of, that “deep history” which resides in the humblest of settings. 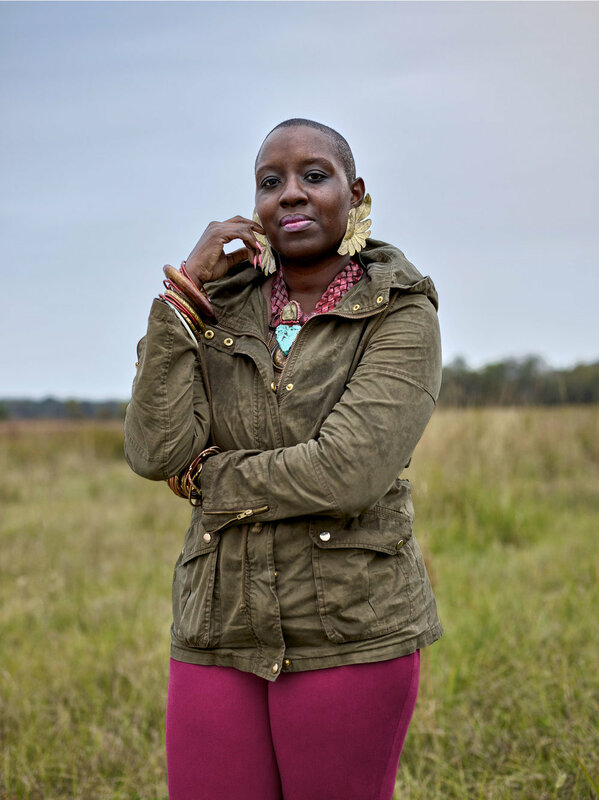 The most prominent social and cultural feature of lower Alabama is the Black Belt, which, although originally named for the color of its deeply fertile soil, has become synonymous with the region’s African-American culture. I strongly believe the Black Belt has throughout its history been one of the most undervalued areas of the United States. The counties of the Black Belt were the highest producers of cotton in the antebellum South. Afterward, because of their high black populations, those counties suffered some of the worst cruelty and violence of the Jim Crow era. Because of that continuing legacy of violence and intimidation, they became a focal point and battleground in the Civil Rights Movement. Today, many of the counties of the Black Belt are among the poorest in the nation, and yet they remain places of hope, which I believe is due to the deep spirituality and faith, born of adversity, which remains a bedrock principle of the community. Also, and very importantly, the Black Belt is a democratic bulwark, and remains a pivotal community in terms of the state’s political future. And the images made during the Civil Rights Movement, in particular those of Bull Connor’s police dogs and fire hoses in Birmingham, as well as those of Sheriff Jim Clark and his thugs attacking marchers at the foot of the Edmund Pettus Bridge in Selma, created searing, iconographic imagery, which changed hearts, minds, and laws across the nation. 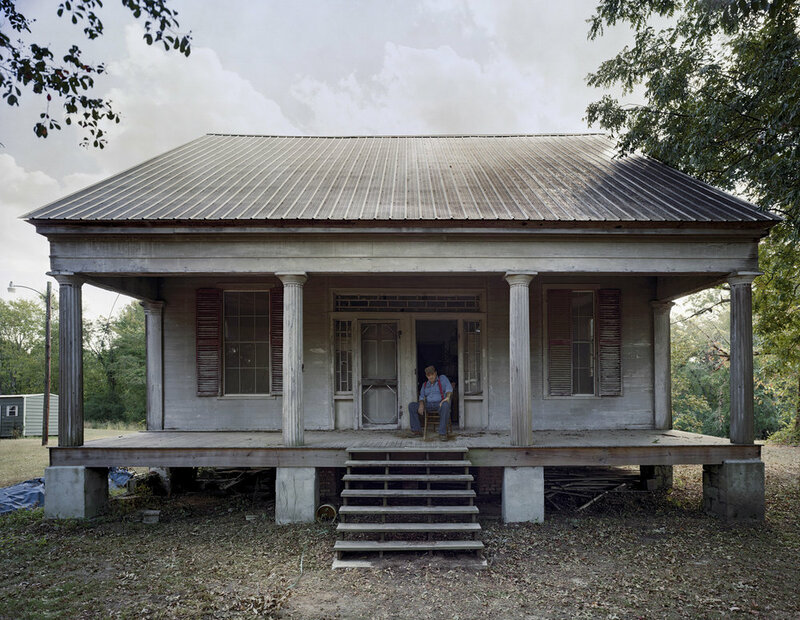 To follow behind such photographers as Walker Evans, Charles Moore, and William Christenberry onto the very same ground might be to court disapproval, if not derision. Though aware of this issue, I was also conscious of working against the body of existing imagery of the South. I wanted to portray a community of resilient, defiant, creative individuals, rather than simply depict the legacy of poverty, oppression, and disenfranchisement. I photographed people I met and enjoyed meeting, and sought out people, both black and white, who I felt challenged received notions and stereotypes. Initially, I considered photographing in the South as a return to my own past, owing to my roots in the region on both sides of my family. I grew up hearing stories about rural Tennessee from my maternal grandfather, a Methodist minister who wrote hymns and poetry besides being a professor of homiletics. But this project on Alabama has caused a tremendous shift on my perspective of the South, as in this work, like no other, my assumptions and knowledge of history have been deeply transformed, especially my perspective both on the history and the experience of African-Americans. In the course of making these pictures, I have tried to read as widely as possible, and one of the books that really transformed my view of the South — Alabama in particular — was “All God’s Dangers,” an autobiographical account of the life of a Wetumpka farmer named Nate Shaw, dictated to Theodore Rosengarten in the late 1960s. Over its 700 pages, Shaw describes in excruciating detail the degree to which the white population tried to cheat, steal from, and intimidate him on a daily basis. It is a harrowing account of his attempt to maintain his dignity, the health of his family, and his safety in the face of unremitting intimidation and fear. This work on lower Alabama can also be viewed in context of my two previous bodies of work, both of which focused on the “inner empire” of the United States. 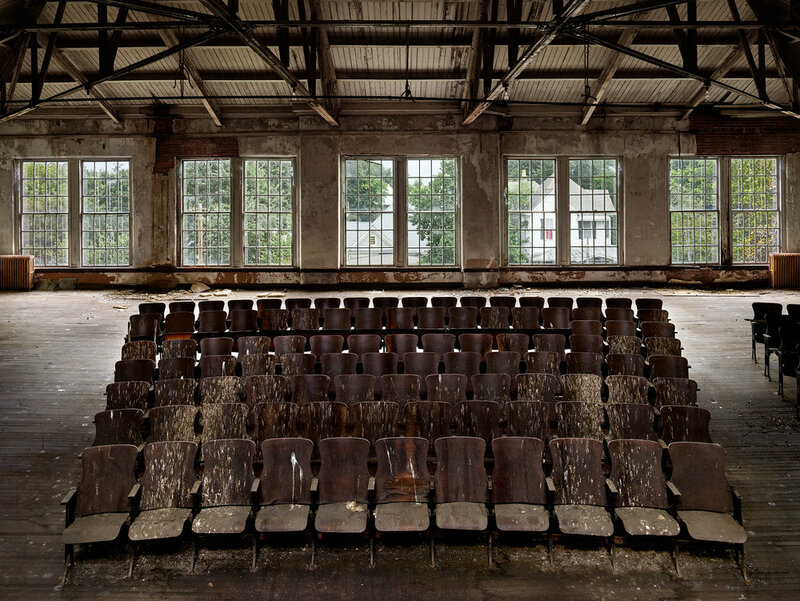 The first, “Detroit Disassembled,” looked at staggering waste resulting from the loss of America’s industrial identity, yet also set that beside the evidence of creativity and revival that remained potential in the city. Recent history has borne that story out, as Detroit’s center city has been reborn in an extraordinary fashion, partly based of the myth of resilience, bred from long years of hardship, although the city’s struggle is far from over. The other work, “Dirt Meridian,” takes as its subject the American Plains, and portrays a shift in our conception of open space. The myth of the frontier drew citizens from all over the nation, as well as immigrants from across the world, to the most barren places in this country. Yet the Plains never fully recovered from the Dust Bowl years, and all that emptiness became not a place of beckoning, but instead a wasteland — “flyover country,” to be avoided at all costs. But as the recent controversy over the XL pipeline, spearheaded by an unusual alliance of Native Americans and home-grown Republican ranchers, showed there is a continuing belief in the sacredness of this open ground, as well as the need for careful stewardship of the resources which lie beneath it. 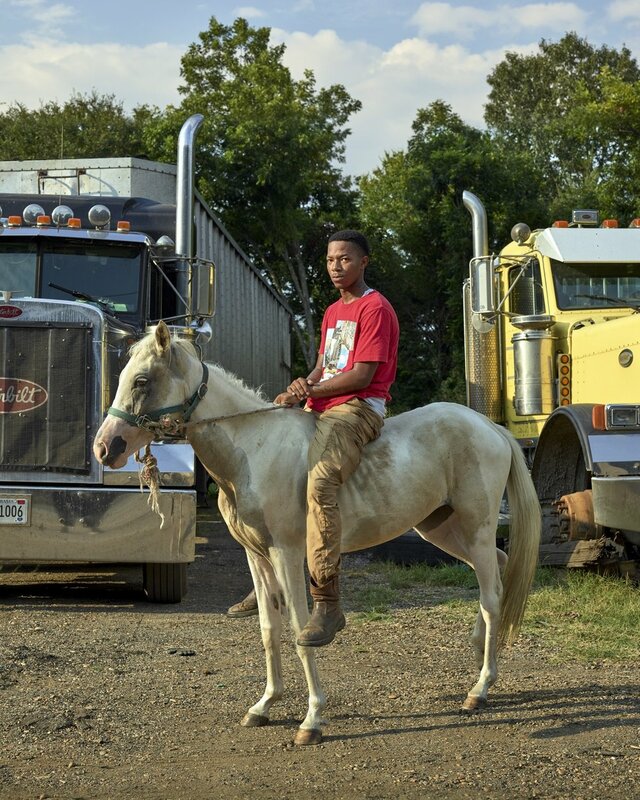 This newest body of work on Alabama also deals with themes of loss and resilience, but given the troubled narrative of the South — its interweaving of fear, cruelty, beauty, and spirituality — the project was inherently a more complex and provocative equation. One can see certain themes developed, such as the strong presence of women in Southern society, the resonance of the color black, the connectivity of the past to the present, and certainly the tradition of storytelling and conversation which informs so many of the pictures. I also have a sense, perhaps because of its long history of adversity, that the story of Alabama at this moment in time is of growing importance, and that no region of the country better encapsulates the contrasts, the challenges, and the aspiration for truth and reconciliation. Charles Holmes at the Moore-Webb-Holmes Plantation, Marion, Alabama, 2017. This farm was founded in 1819 by William “The Wagon Maker" Moore and has been worked continuously by the same family for 200 years. Although the family today focuses on beef cattle and timber, they also keep a flock of sheep to graze under their longleaf pines, the needles of which they harvest and sell to landscaping operations. The farm’s extensive collection of historical buildings is open to the public in its efforts to promote agritourism in the Black Belt region. “Possum Trot,” Seale, Alabama, 2016. In 1976, Bishop Anthony started a kind of museum of natural objects and curios in an old whiskey store. He called it the Possum Shot. His son, the artist Butch Anthony, started a series of Friday night auctions, known as the Possum Trot, in 1990. 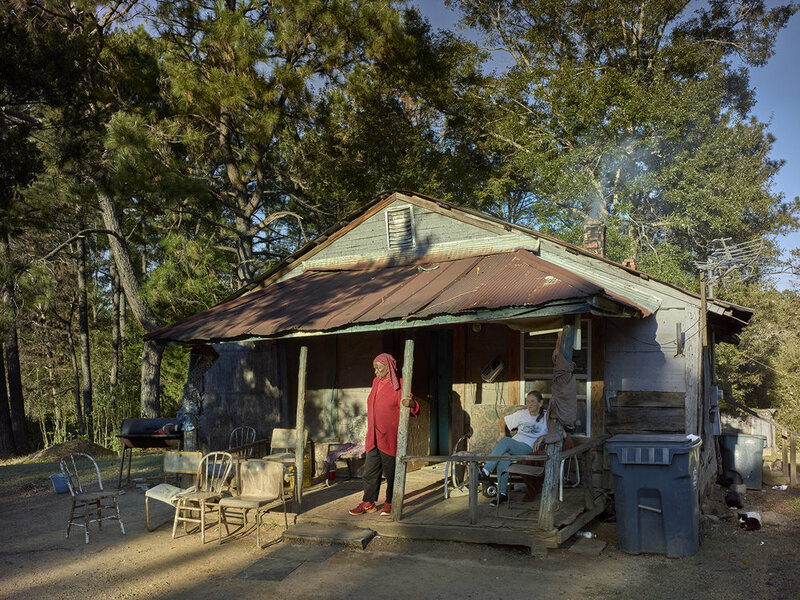 An exhibition of Andrew Moore’s photographs from Alabama opens Friday, April 13, at Jackson Fine Art in Atlanta, and will run through July 7.